Fortunately for most of us, Chanukah is a time of celebration, family, and hope. However, for some, circumstances prevent them from enjoying a traditional Chanukah experience; an important component of their Jewish identities. In Toronto alone, there are over 24,000 Jews living below the poverty line – including more than 5,000 seniors. This is a community-wide issue that UJA Federation of Greater Toronto, in conjunction with its network of social service agencies, is working hard at addressing. 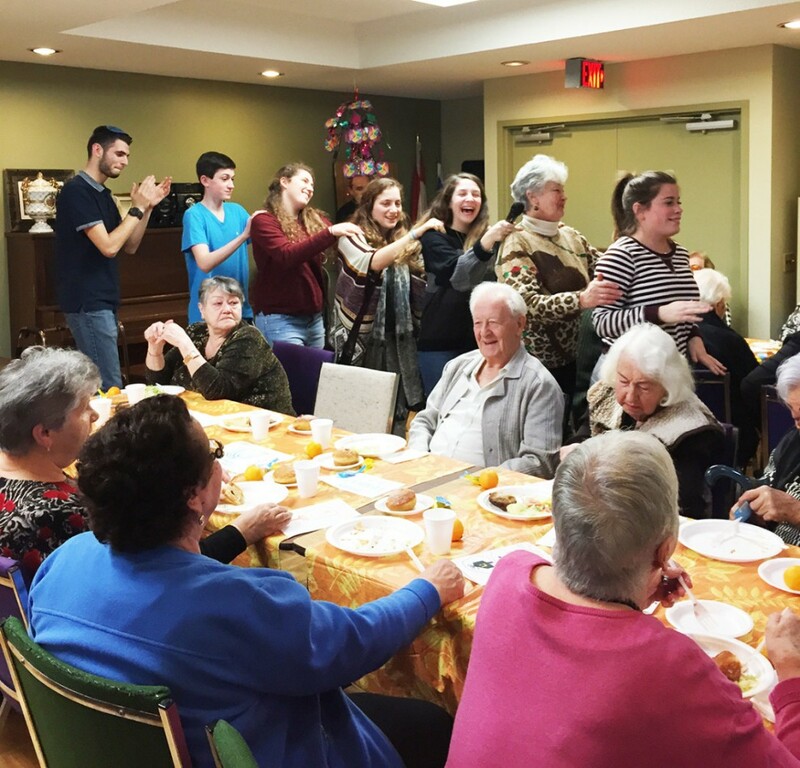 On December 13 and 14, 2015, over 60 of UJA Federation of Greater Toronto’s finest teen leaders came together to provide a warm, positive Chanukah experience for isolated seniors. Together, UJA’s Diller Teen Fellows, B’nai Tzedek Teen Philanthropy, Jewish Teen Board and UJA’s Israel Engagement ShinShinim prepared over 250 Sufganyot and Chanukah cards to bring to two parties hosted by the Bernard Betel Centre’s Healthy at Home program. The teens danced, sang, and mingled with the seniors, providing sought after social opportunities and meaningful conversations for these men and women, many of whom are Holocaust Survivors. The Chanukah Service project is a wonderful example of not only the strength of our community, but of the power of collaboration amongst leaders. UJA’s teen leaders look forward to collaborating on many more community initiatives in the future.